Pigeon Forge is filled with shops, boutiques, and specialty stores for people of all interests! From Smoky Mountain apparel to homemade food items and so much in between, you’re sure to find just what you’re looking for. To help you make the most of your trip, here are 4 of the best places to go shopping in Pigeon Forge. The Pigeon Forge Factory Outlet Mall is also known as the “Red Roof Mall” because of all the scarlet roofed buildings in the complex. It’s also one of the original shopping outlet malls of Pigeon Forge TN! From designer brands to one of a kind handcrafted gifts, you can find it all for the lowest prices. You’re sure to have a great time browsing though all of the unique shops there. You and your family can eat, shop, and be entertained at The Island in Pigeon Forge! This popular attraction is home to over 60 retail and specialty shops, as well as numerous rides, games, and restaurants. From puzzles and magic supplies to moonshine and candy, there’s something for everyone here. While you’re walking between shops, you can even enjoy the dancing waters and lively music of the show fountain. The best part is that there’s no admission fee to get in! It’s easy to spend an entire afternoon shopping in The Old Mill Square! You can find all of your favorite sweets and a few new ones at The Old Mill Candy Kitchen. The General Store sells products made from The Old Mill itself, like white grits or cornmeal, their famous pancake and specialty mixes, and more! You can purchase a variety of Smoky Mountain apparel and other souvenirs here. There’s a shop called Sassafras with all the latest trends in clothing, purses, boots, hats, scarves, and jewelry. Pigeon River Pottery is also located in the square and is known for its one-of-kind pieces. The Three Bears General Store is another one of the best places to go shopping in Pigeon Forge. On the first floor, you’ll find fudge and candy made fresh every day and an ice cream shop where you can stop by for a sweet treat! There’s also a specialty foods store on this floor with everything from jams and jellies to hot sauce. On the second level, you can make your own stuffed animal, and complete its look with your choice of outfits and accessories. There’s also a family arcade and an old time photo studio. However, the main attraction has got to be the live bear habitat where you can watch the black bears being fed and interacting with each other. 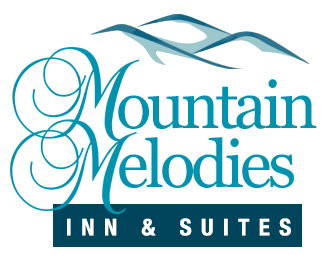 After an exciting day of exploring the Smokies, you’ll want a relaxing place to come back to. When you stay with us, you can enjoy being conveniently located within walking distance to popular attractions, restaurants, and of course, shopping! You’ll also receive free WiFi, complimentary breakfast, free parking, and access to our outdoor pool. Now that you know where to go for all the best shopping in Pigeon Forge, it’s time to start planning your trip! Be sure to check out our hotel rooms to find the perfect place to stay while you’re in town.